From Indiana, Kentucky, and Los Angeles come the next biggest name in music. 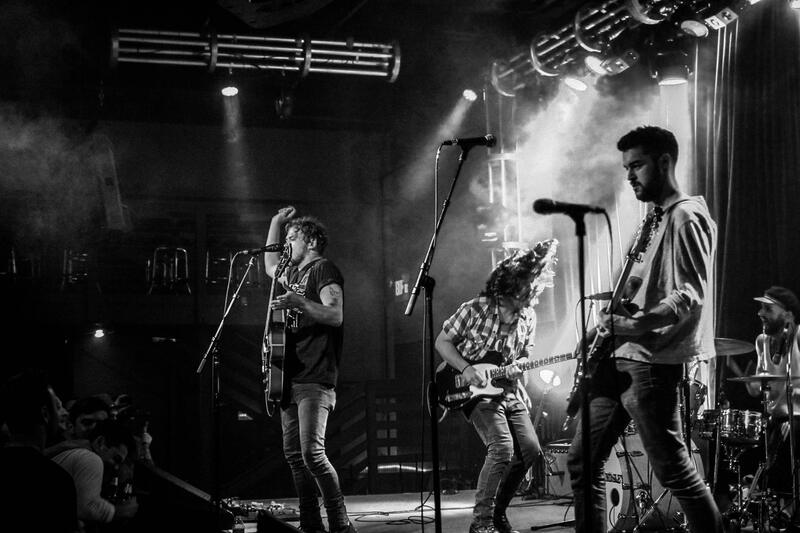 Now based in Nashville, 4 piece Indie/Americana rock band Future Thieves are gaining heat day by day with their grass roots and natural sound that is sure to appeal to any top 40 lover of Mumford & Sons and so on. What really brings the flavor of Future Thieves to the forefront is their dedication to staying grounded in terms of reaching out to fans who love their music and keeping their minds focused on working hard to provide the very best during live shows and recordings. Los Angeles born and raised drummer Gianni Gibson recently spoke with me while on his way to gig and share insight into what his band is all about. “My background is I grew up in Los Angeles and my parents were in the music industry, so I knew the music industry already. I traveled with a band from LA to New York. Then I went to London. When you hear Future Thieves for the first time you might not think such influences weighed in upon one of their members, but the more we know about our favorite artists the more we realize music has a interesting way of plucking us all from different backgrounds and giving us a new musical niche to get comfy in. Speaking of first listens, it is hard to imagine the name and sound lining up, but in its own way it just simply works. Gianni comments on the band name: “Well basically the name comes about from ideas being kicked around, like around the time of the creation of the band. The Future Thieves kind of had that shining beacon amongst the other ones and we just ran with it. I feel like the name Future Thieves just kind of conjures up the general nature of coming in to take over. We are trying to provide people of the Robin Hood mentality. As a youth Gianni’s parents allowed him to disassemble equipment and that brought him early on into the mindset that he wanted to play music. Also taking inspiration from the likes of Keith Moon and John Bonham for their crazy and unorthodox approach to the drums while maintaining a timeless groove. Those influences cultivated part of the foundation of larger than life sound Future Thieves are pushing for and wanting people to enjoy. “I used to teach drums my senior year of high school, I will tell you what I’d tell them. The fact of the matter is, if you have a heartbeat, then you are alive, you have rhythm. That’s common knowledge you know but you can just tap into the rhythm of that. If can look into that and practice what you do and have fun with it. It’s never going to feel like you going through arduous routines. With all that being said lets state one more thing. Future Thieves are still starting out and creating great music. As always it’s up to you to pick and choose which artist/song you will relate to and find motivation and insight from. 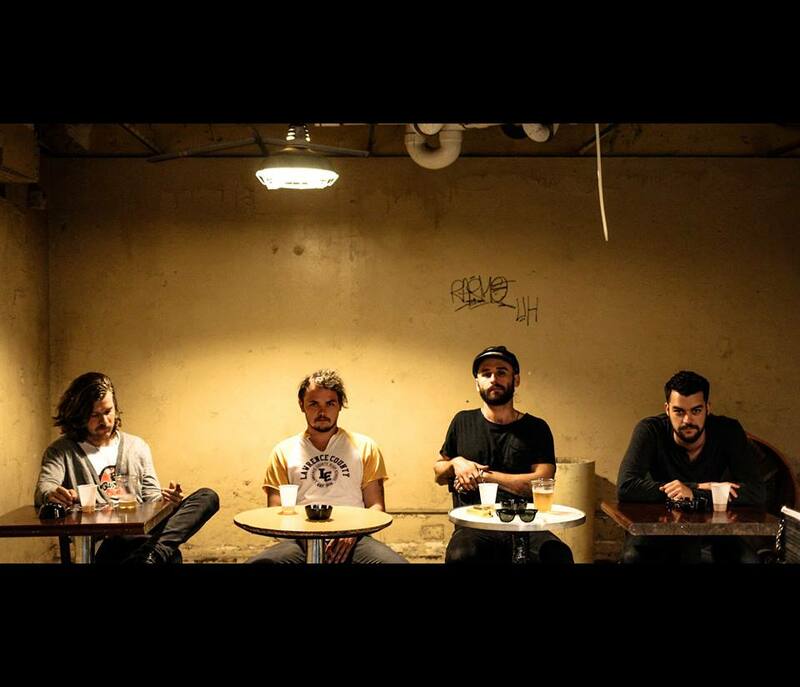 Future Thieves are continuing a tight touring schedule and always staying motivated to write new tunes in the process. With their down to earth attitude and ability to reach out to fans within minutes of a message, they have all the components for a successful career and building of a loyal fan base. Contrast Control thanks Gianni and his band for answering questions as well as their manager Taylor for bringing this all together. CC will also welcome Future Thieves in to the family and be hoping for good things for these 4 hardworking musicians. contrast Control, Future Thieves, Gianni Gibson, Horizon Line, Interview, James West. Bookmark.